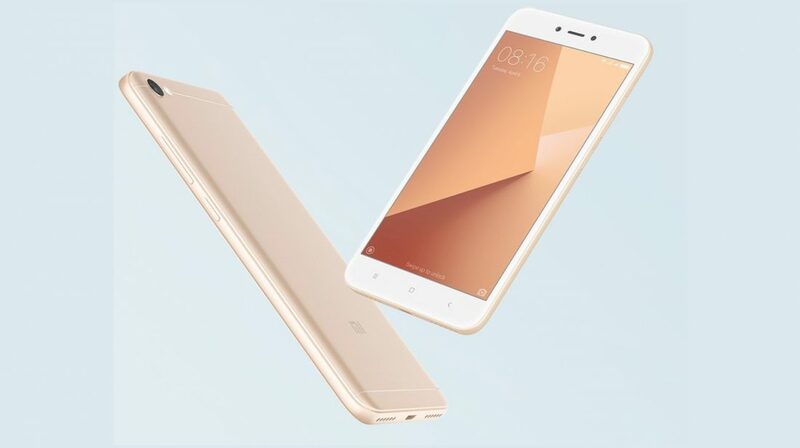 Chinese company, Xiaomi has introduced two new smartphones in Y series Redmi Y1 and Redmi Y1 Lite in Indian market. Availability of both smartphones – The Redmi Y1 will be available in two models such as 3GB RAM with 32GB storage at Rs 8,999 and second one 4GB RAM with 64GB at Rs 10,999. The Redmi Y1 Lite will be available in only one model 2GB RAM with 16GB storage at Rs 6,999. Both the devices can be available through Amazon on November 8. 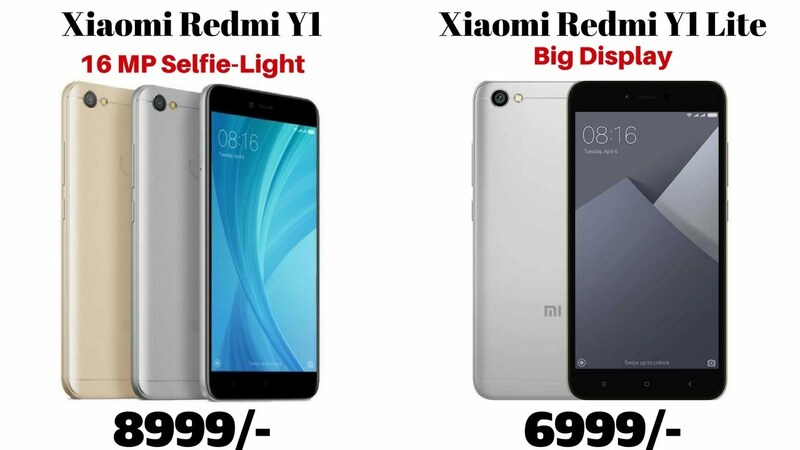 Specifications of Redmi Y1 – The Redmi Y1 smartphone offers a 5.5-inch HD with a resolution of 720×1280 pixels display and a Corning Gorilla Glass for protection. It has an octa-core Snapdragon 435 SoC with RAM of 3GB. The device also offers storage of 32GB that can be expandable up to 128GB by using microSD card and is back up by a 3080mAh battery. It operates on Android 7.0 operating system. The smartphone comes with a camera at rear of 13-megapixel with Phase Detection Auto Focus (PDAF) and dual-LED flash and a second camera at front of 16-megapixel. The front camera has LED selfie light for improved selfies in dark. The device also has a feature of Beauty 3.0 that beautifies the selfie photos. It supports dual-SIM and 4G VoLTE and has a fingerprint sensor which is placed on the rear panel. The size of the device is 153×76.2×7.7mm and weight 153 grams. Redmi Y1 will be available in Gold and dark Grey color and obtain its MIUI 9 update in November. 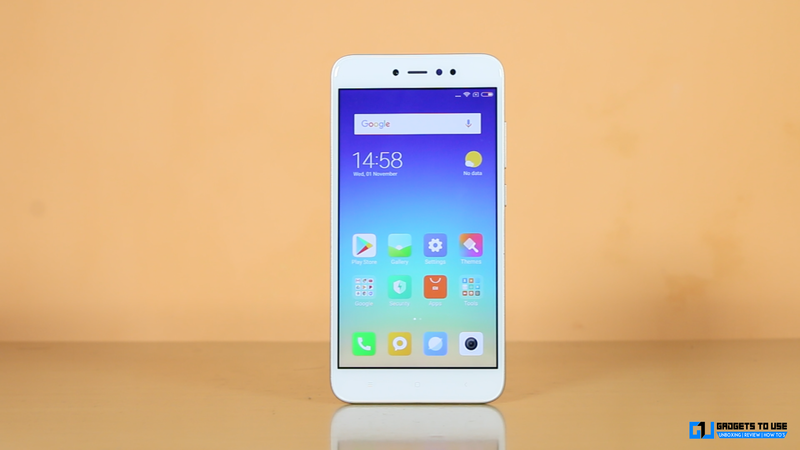 Specification of Redmi Y1 Lite – The Redmi Yi Lite offers a 5.5-inch HD display with a resolution of 720×1280 pixels and operated on Android 7.0 operating system. It has 1.4GHz quad-core Snapdragon 425 processor with 2GB of RAM and supports dual Nano SIM. The device also offers storage of 16GB that can be expandable up to 128GB by using micro SD card and is back up by a 3080mAh battery. The smartphone comes with a camera at rear of 13-megapixel with PDAF and LED flash whereas the camera at front of 5-megapixel. Next Post What are energy drinks and what are their advantages and disadvantages? daneelyunus, I am from India and here Redmi phones are very popular and they have a good respect in the market here.